Welcome, my fellow loungers.....and dare I say, Happy April Fools Day! I'm sure a few of your will have been the recipient of a few pranks, or you're responsible for some. Whatever, it's all in good fun as long as no one gets hurt. Speaking of good fun, we have lots of great new music to add to your fun weekend and week. 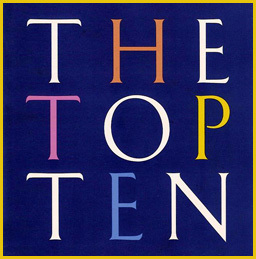 Blank & Jones arrive at number nine, a very respectable start to their tenure in the Top Ten. Lots of buzz around the new Lemongrass release, Orion, and our Bubbling Under choice to play, Let's Turn On. The Brazilian beauty that is Elaine Elias tops the chart this week with the jazz samba of Copacabana, ahead of Thievery Corporation and Peter Pearson. NY guitarist Phigroa's chilled jazz sounds continue to garner your votes amongst the other contenders. 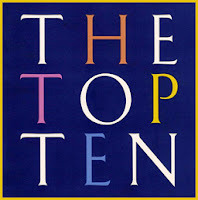 Thanks for your support, and please, crawl on over to www.thisislounge.com and vote for your fave Top Ten track. I love the feedback. I hope the weather is starting to improve in your part of the world. Spring is coming in kicking and screaming in my corner of the Great Lakes of Canada. It's arrival will be greatly anticipated. So with the warm weather, be sure to tune in for awhile. I truly appreciate your time away from Spotify, Mixcloud, Apple Music, Soundcloud, not to mention your iTunes playlist and your vinyl collection...even for an hour or two. Thanks for listening.